Not to say I’m less fond of wines from other countries. Reds, whites, and bubbles from all over the world lasso me. But this month, a month of love and valentines, romance and foods that go with all of the above I’m choosing France. February’s French Winophiles segment is about wines with a name or concept reminiscent of l’amour. Some members received wine samples speaking to this theme. And other members jumped in to join with their finds. 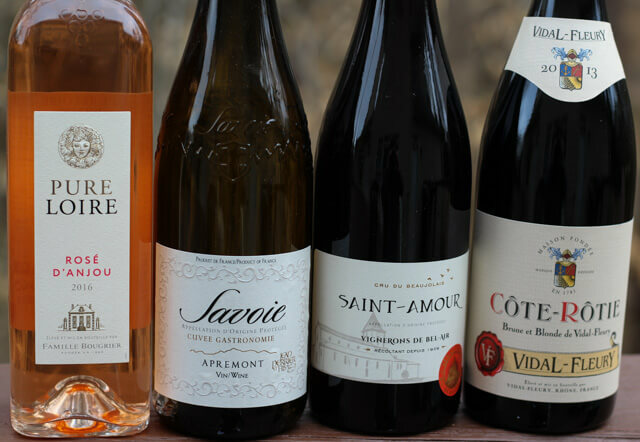 In time for Valentine’s Day, we share our love of French wine, food and cooking, pairings, tips- the list goes on. If you’d like more information about the group see my invitation article. How many of you shared with someone that you’re going to France and the response was “Oh I’d love to go there, how romantic!” Or “I love French wine!” While the country has its share of challenges, it oozes with history and love; the four wines explored this month do too. I can’t wait to taste these wines when back in Bordeaux later this month. In the meantime, here’s information to tempt you and links to other #winophiles articles. Be sure to scroll to the links below for producer information, recipes, and pairing tips to tempt your Valentine plans! 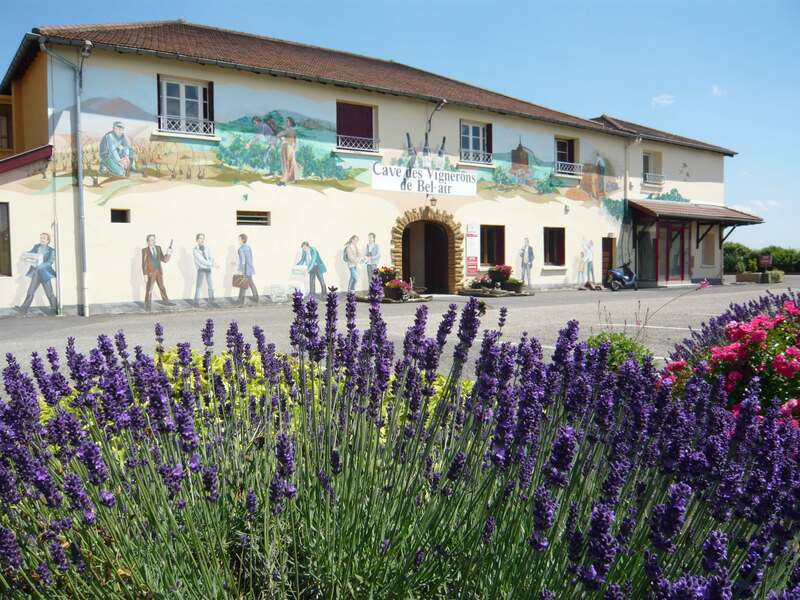 Established in 1781, Maison Vidal-Fleury is one the oldest continuously operating wineries in the Rhone Valley with a home base in Côte Rôtie. 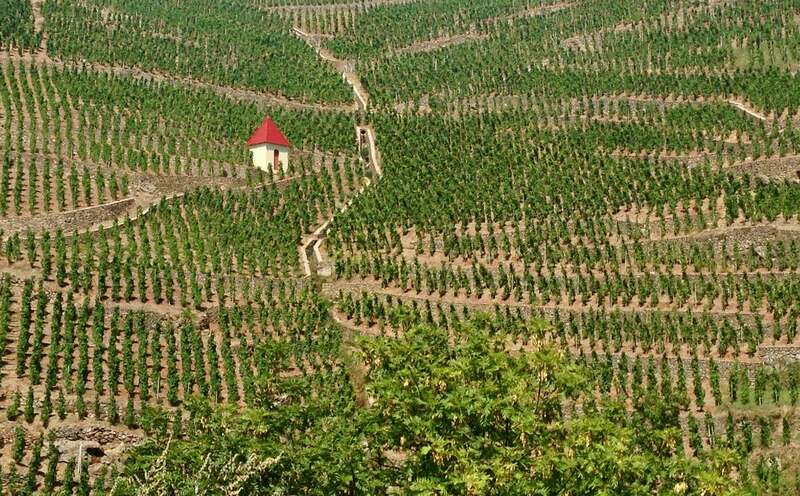 Among their vineyards are two famous hillsides in the Northern Rhone: the Côte Blonde and Côte Brune. The Côte Blonde faces south-east with sand, slate and limestone soils. It produces tender wines that are fruitier, and sumptuous, more so than those of the Côte Brune, which faces south and southwest. Côte Brune soils are clay and iron oxide often resulting in serious, finely strucutured and tannic wines. Locally these vineyards are referred to as women of different temperaments. When the exquisite Blonde and the bold Brune unite, you’ve got an elegant wine commanding your attention. The 6th generation of Famille Bougrier is leading this Loire Valley winery established in the mid 1800s. They’ve grown and modernized aspects of the business including the most recent square bottle for this particular wine. Reading reviews from fellow #winophiles I describe it as a frolicky fruity wine possessing fabulous acidic structure that balances a small amount of residual sugar. This group of Vignerons was launched in 1929, the result of men coming together during difficult times. You can read more about them in Beaujolais Beyond Nouveau. 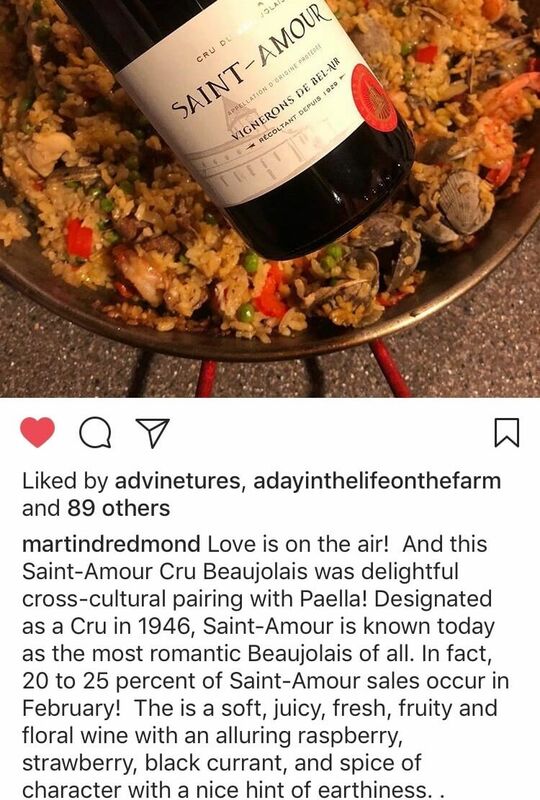 Saint Amour is one of the ten Cru of Beaujolais generally with a lighter, fruity, playful style. Bel Air produces their version from hand-picked grapes and using the semi-carbonic maceration process common in Beaujolais. The story behind the name is historical having nothing to do with love. But how can you not be tempted to give a wine named love to a sweetie! Located in the Savoie region just south of the Swiss border, this is a floral, fruity and crisp alpine wine from another family going way back: the 7th generation is now at the helm! 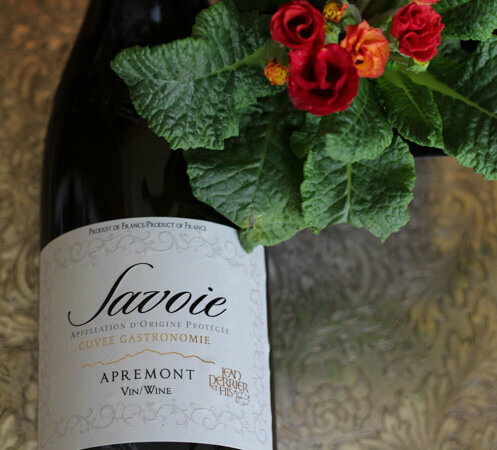 Apremont is one of 16 cru within the Vin de Savoie AOP primarily growing Jacquère which is thought to be of French origin. And this is one of several indigenous varieties that grow in Savoie. Being a gal who likes off-the-beaten-path things, I love that the Domaine is dedicated to native grape preservation! Such a pretty label, how could you not resist grabbing this wine for a romantic meal?!? JOIN US ON TWITTER THIS SATURDAY, FEBRUARY 17TH (8AM PACIFIC / 17h IN FRANCE) FOR A LIVE CHAT! BE SURE TO USE THE HASHTAG #Winophiles TO FIND US (and be sure to use it in your comments and/or questions). I hope you get to visit France Martha, thank you for stopping by! A fun tidbit about the Côte Blonde and Côte Brune vineyards in the northern Rhone. I’ll put that in my back pocket to share with friends. 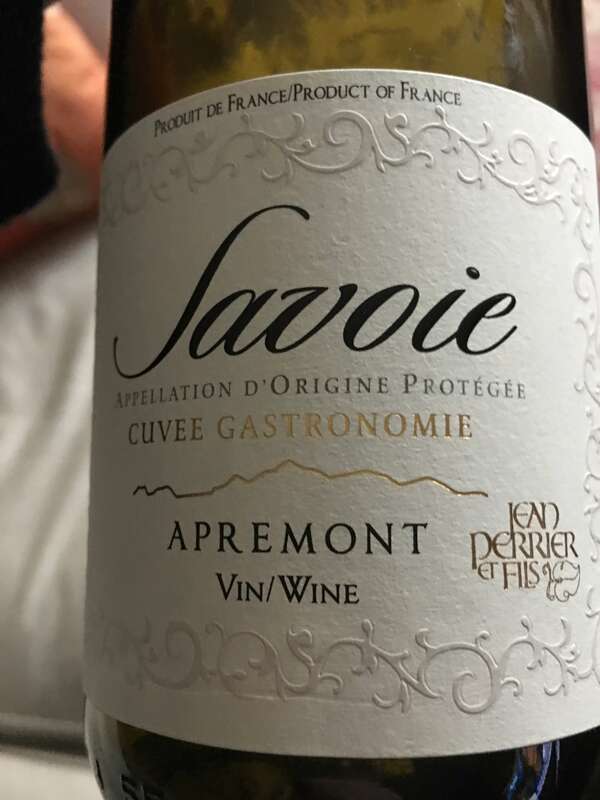 I haven’t had Jacquère before but the description, and reading through a few of the other posts you linked to at the bottom of your post, I know I need to try it ASAP! I live in California, do you know where I can get it? The others have some great recipes, especially like the poke bowl at Rocking Red Blog. And please stop back, I’d love to hear how you like the wine! You have quite a treat waiting for you inside these four bottles in Bordeaux. I found each wine unique and outstanding. Thank you so much Lynn. I am unaware who sent them to us but I am very thankful. … and Nicolas Bougrier from the famous Loire Valley sent Rosé d’Anjou nicely named PURE Loire in a square bottle ! Wonderful. Thank you so much. Each of the wines are really lovely. I enjoyed them very much. An eclectic variety, it was a fun month. Glad you were able to join this month Michelle! What a great bunch of wines! All very different from each other, all decidedly delicious. Thanks again, Lynn, for arranging the samples for the group. It was such fun to play with the pairings, taste, and compare. Cheers! Great feedback Lauren, I know the wineries will be pleased! I agree about France and French wine being so closely associated with love! Great photos here, from your travels? I like the description of the Blonde et Brune too, explains why that wine is so good! Some of the photos are from trips, the Côte Blonde and Côte Brune vineyards is from one. Thanks for your comment David! Thank you Lynn for coordinating the samples for our L’amour wine theme. We had a beautiful dinner celebrating my mother’s 85th Valentine Birthday and sharing the wines with family and friends! Lynn, thanks for connecting us to such a great group of wineries! And lucky for me, even the side trip through customs and FDA didn’t delay the wines from arriving! 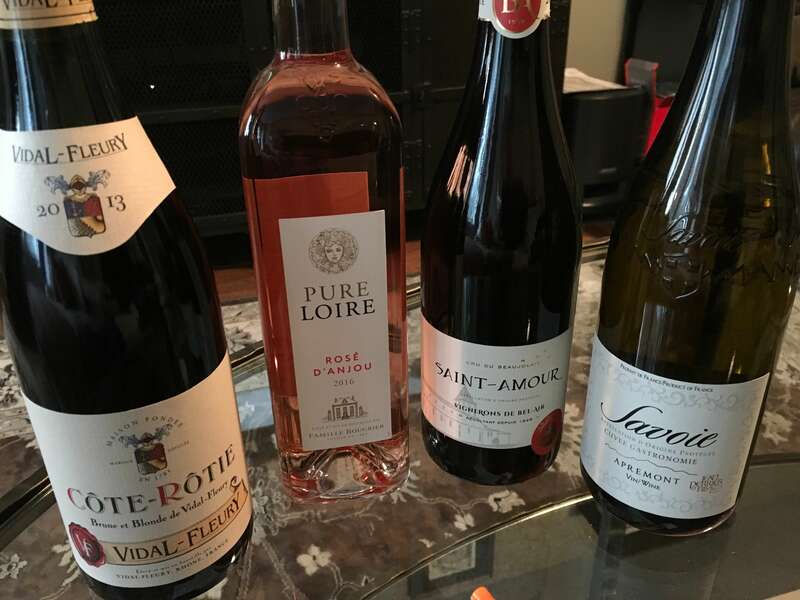 Living in Bordeaux now, I understand how customs is an interesting animal to deal with… glad the wines made it to you Jeff! Such a fun and unique group of wines. Enjoyable year round. Thank you for a wonderful month of exploring Love and French Wine. Greatly appreciate your efforts and coordination. This is a such a fun trip around France in 4 bottles. I definitely find myself saying “Oh I’d love to go there, how romantic!” Would love to go back! Each wine is a lovely surprise! Two new grapes for me too! Thank you for organizing! And thanks for stopping by Gwen. I read about your savory and sweet pizza pairings!